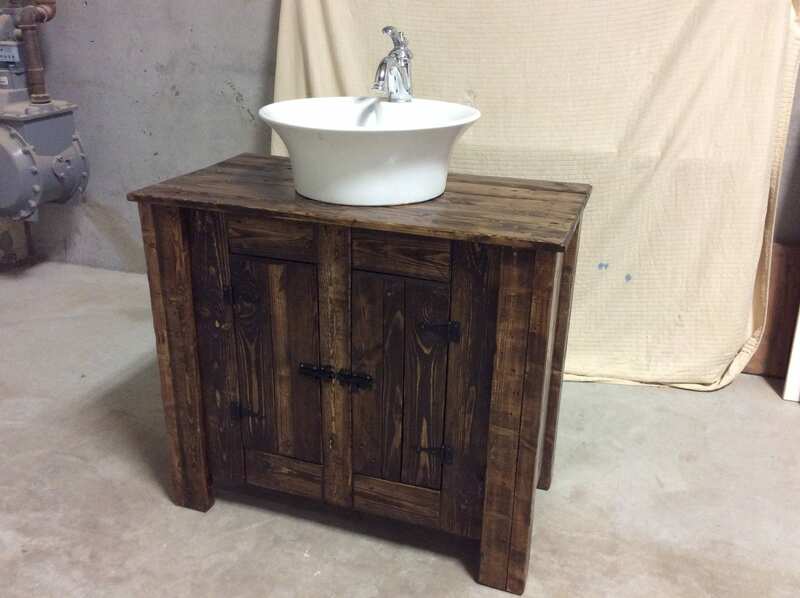 Beautiful custom handmade bathroom vanities. Constructed from solid reclaimed wood stock. Stained and finished in a variety colours and tones to suit your own specific taste and decor. 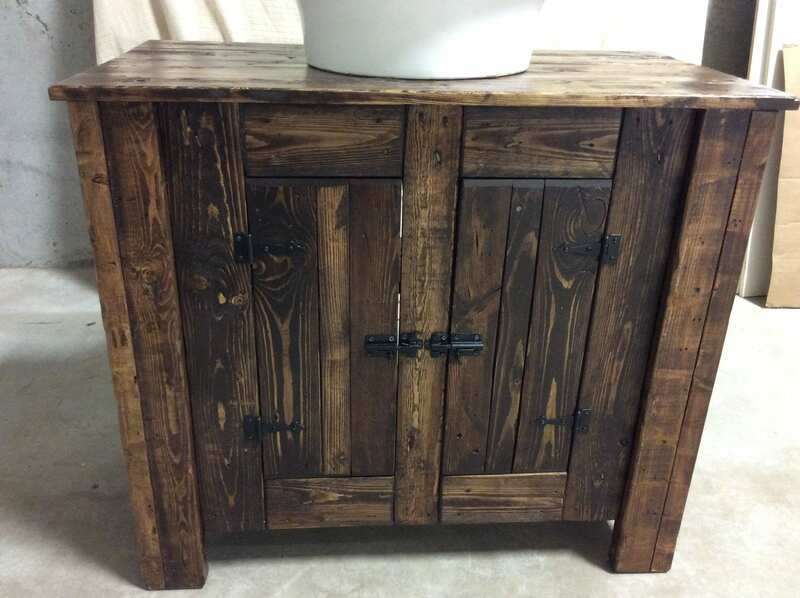 Adds warmth and character to any bathroom. 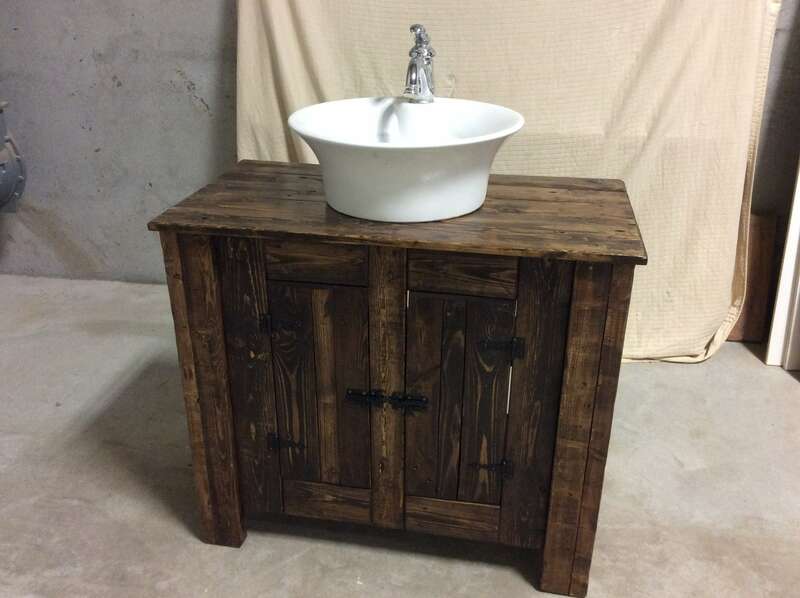 Can be built for single or double sink formation.